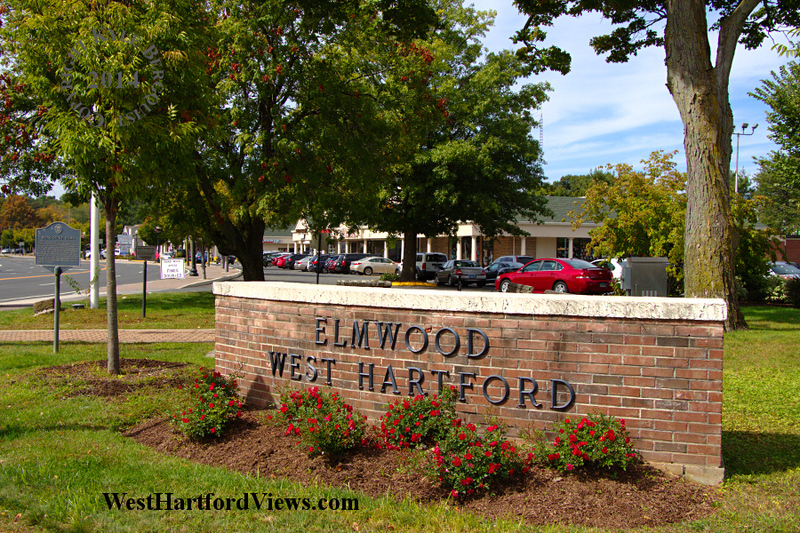 Welcome to the Elmwood section of West Hartford! Once upon a time a primary method of communication was meeting in person at church. 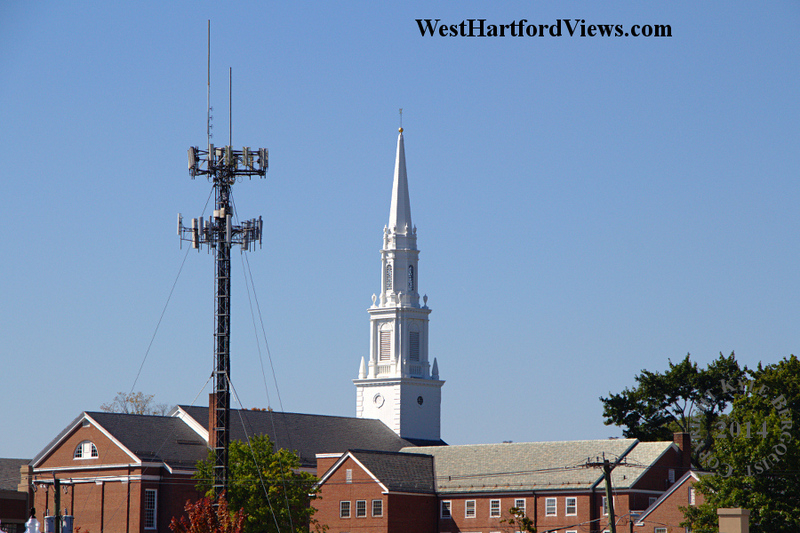 These days the cell tower stands right next to the steeple and handles the overwhelming majority of conversations. 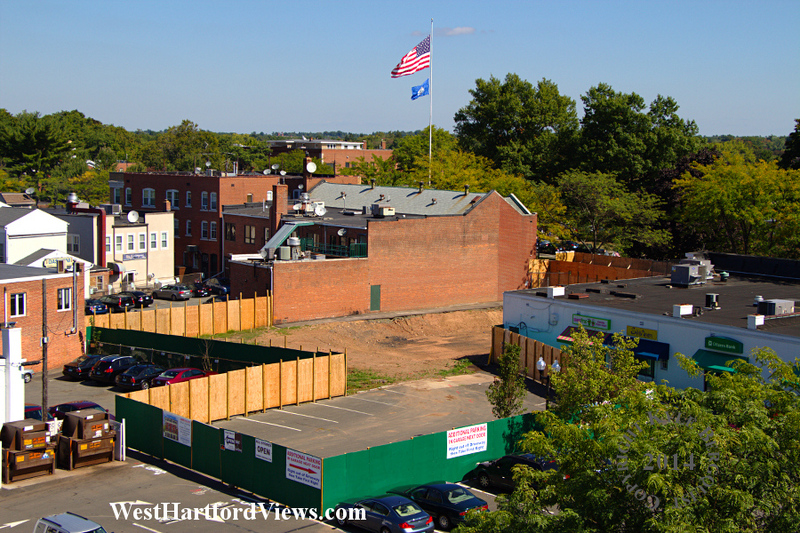 This is a view of the construction site on South Main where the Masonic Temple used to be. The old building is down, and the mess has been cleaned up. The plans call for underground parking, so the next step will presumably be to dig a deeper hole. Wonder when that will start? It looks like the approach to Bradley Airport has changed recently. 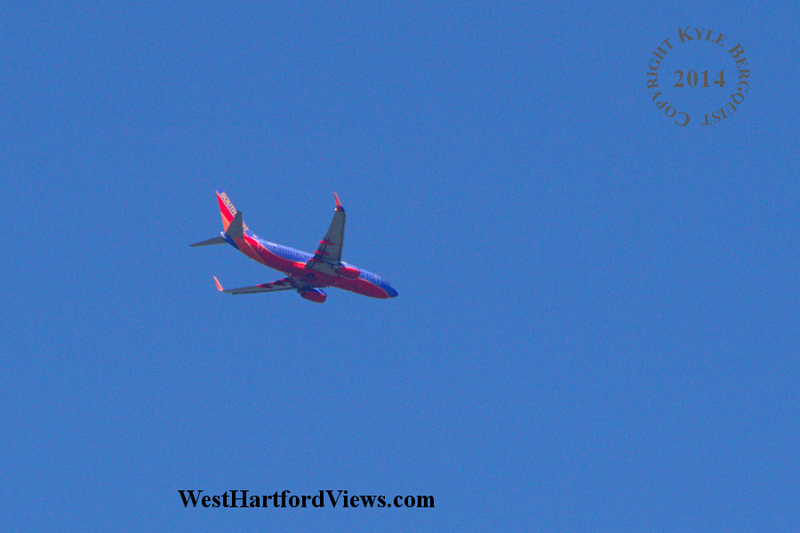 There are low flying planes over West Hartford these days. 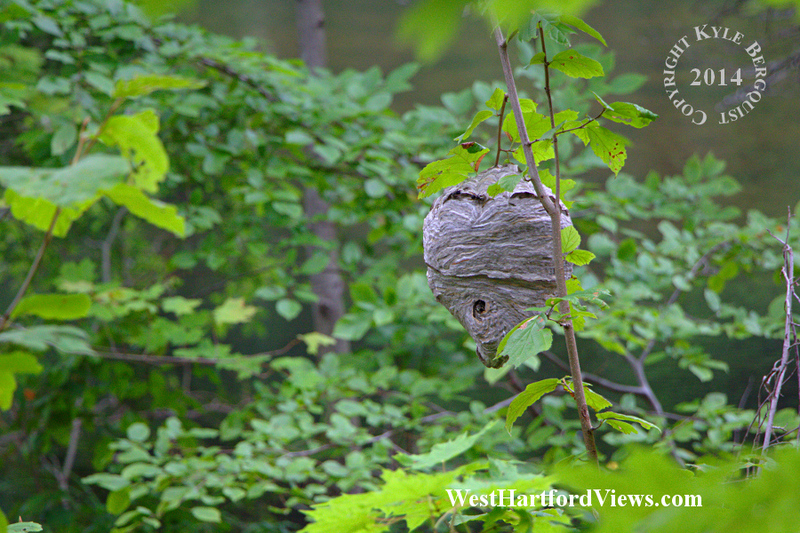 This shot was taken from the Center without a high powered zoom lens. 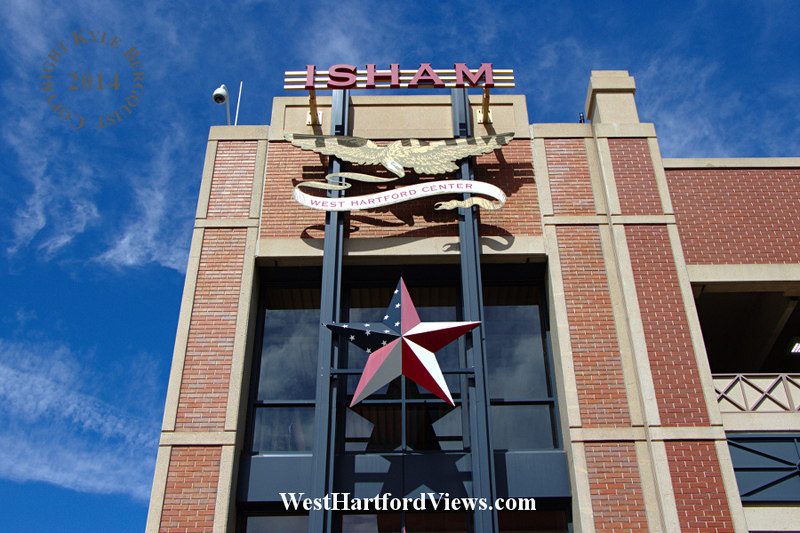 The main entrance to the Isham Garage in the Blue Back Square portion of the West Hartford Center. 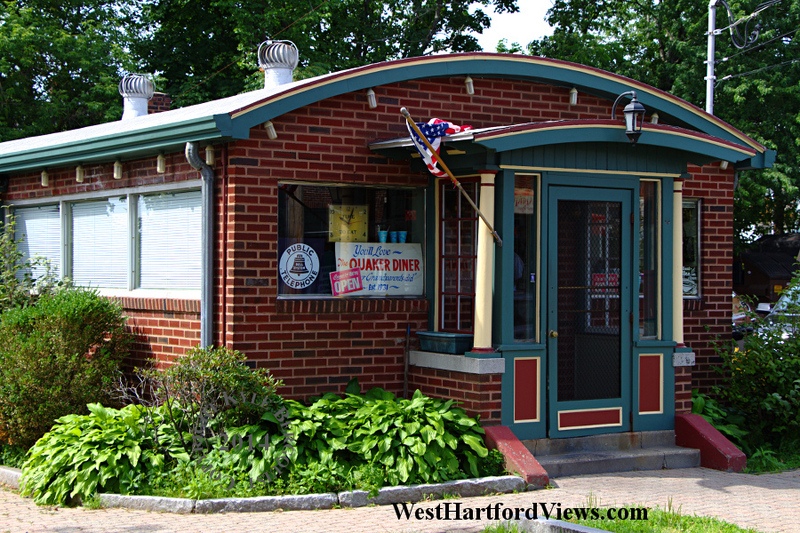 The Quaker Diner is another West Hartford institution along Park Road. 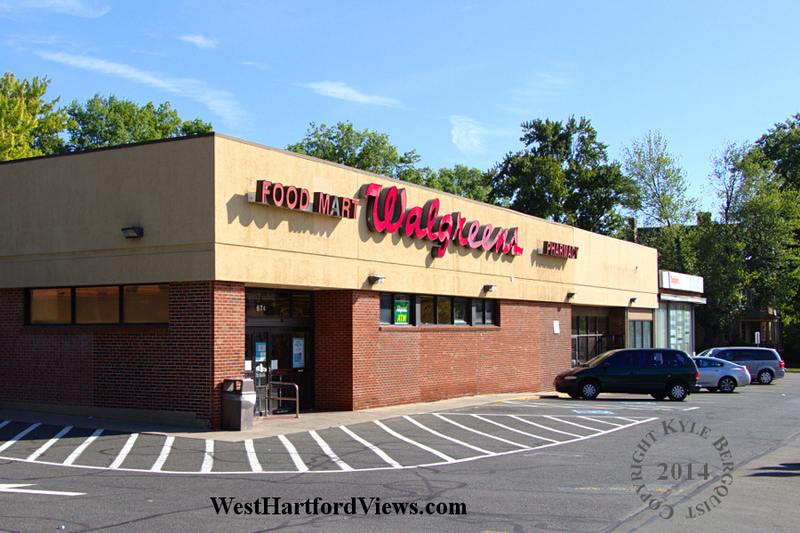 An employee of the Walgreens at the corner of Farmington and Prospect said that the store will be closing on October 10, 2014 in preparation for the site’s redevelopment. 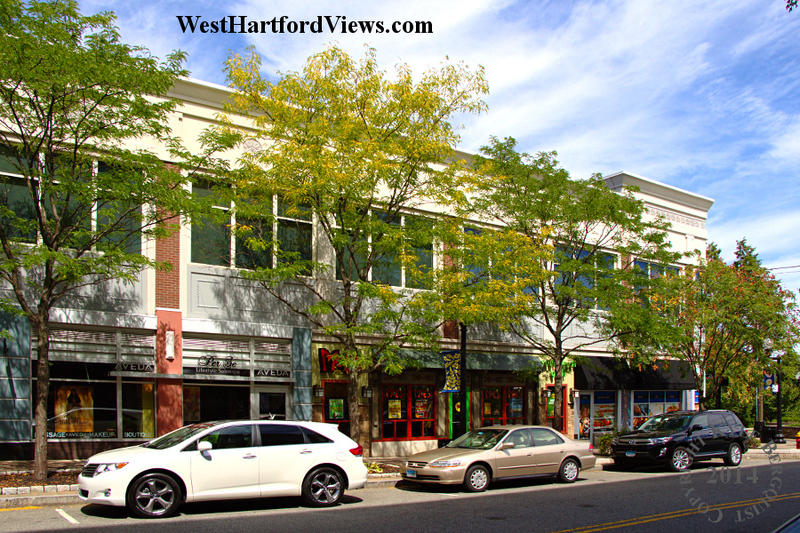 A new Walgreens building will be put on the site, and construction is expected to last from 6 to 9 months. Pharmacy services will be available on-site in a portable facility during construction. 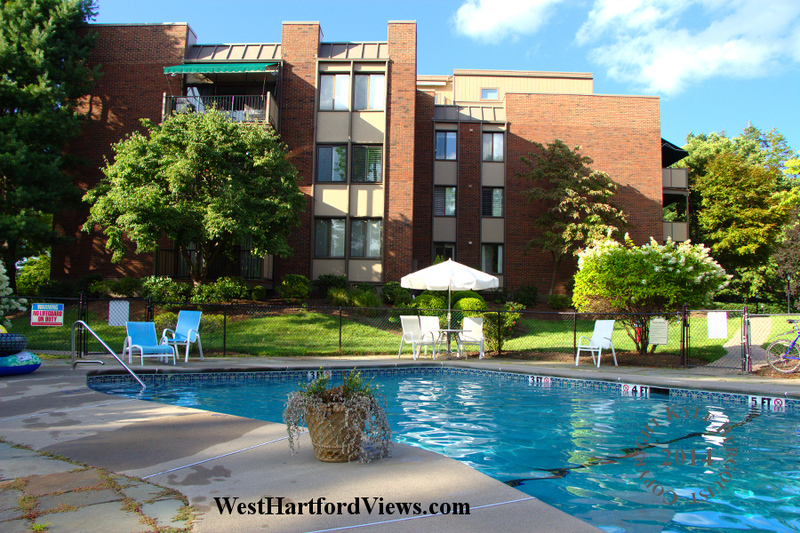 Took an opportunity during last week’s warm weather to get in one last swim before turning the page to fall. 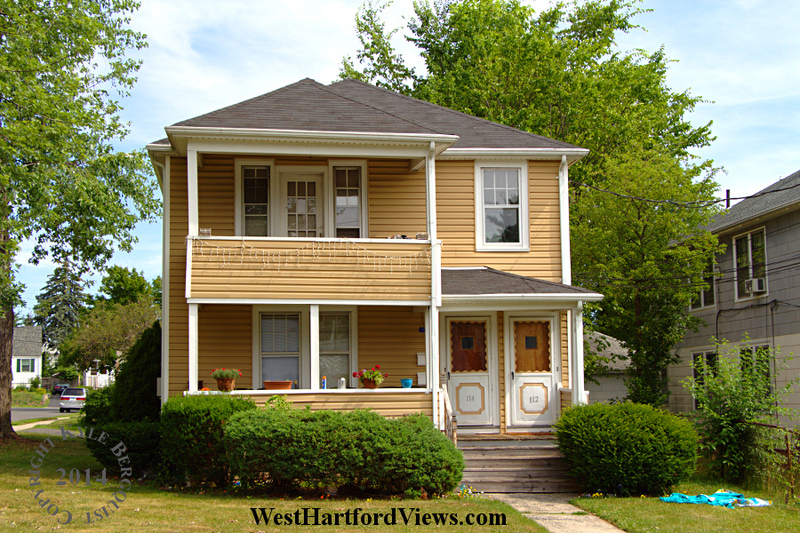 Two family houses are quite common in some parts of town. Most are like this one, with a single unit on each level. There’s a house in town with an impressive collection of sunflowers in its front yard. 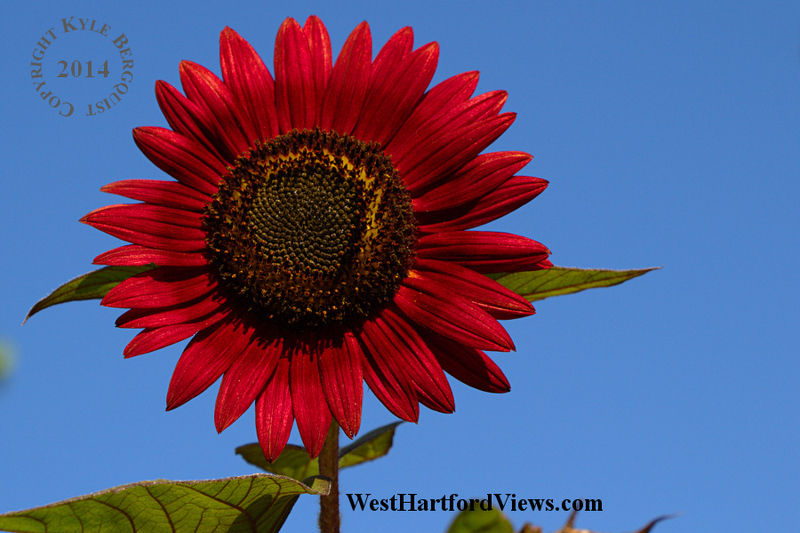 Among the various types of traditional yellows was this amazing red sunflower.